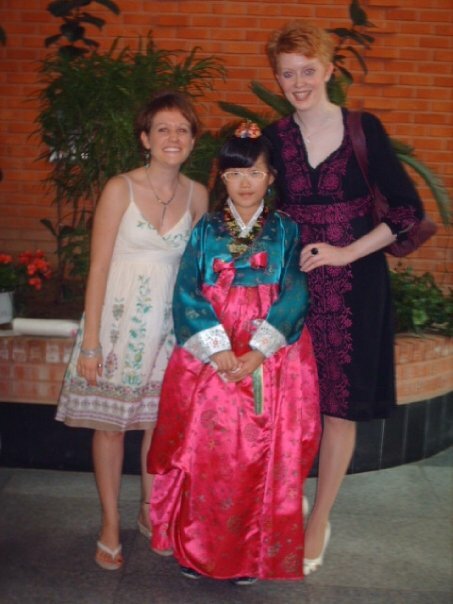 In the five years I’ve been in Korea, I’ve only moved twice. 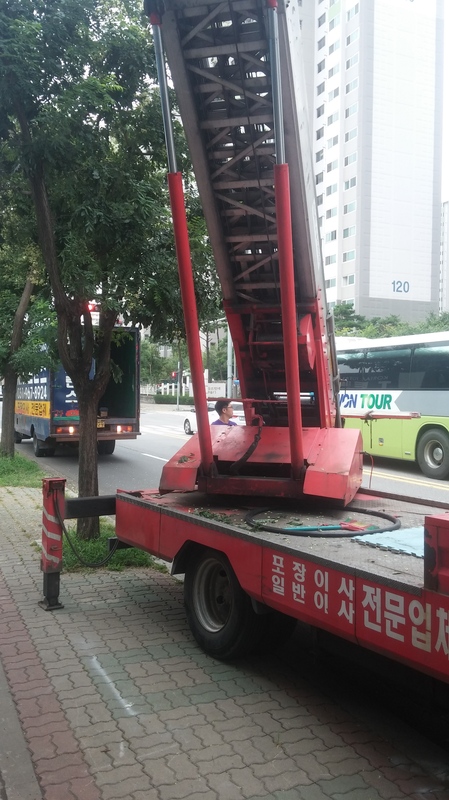 The first time was to a bigger apartment just down the street but this time I made the big move from Paju to Ilsan. It all happened rather quickly. 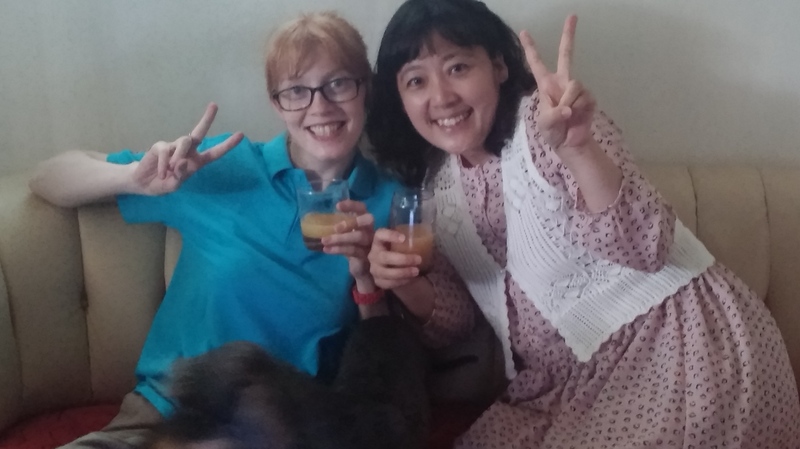 I knew for a while that my apartment contract was up and informed my co teacher of my intention to move to Ilsan. Neither of us saw the urgency of apartment hunting before summer holidays so we both arrived back on August 4th with no new apartment sorted. We were so slack that we didn’t even know when I was supposed to move out of the apartment I was in. After a phone call to my land lady, it turned out that I had just 10 days to get myself together and move out. 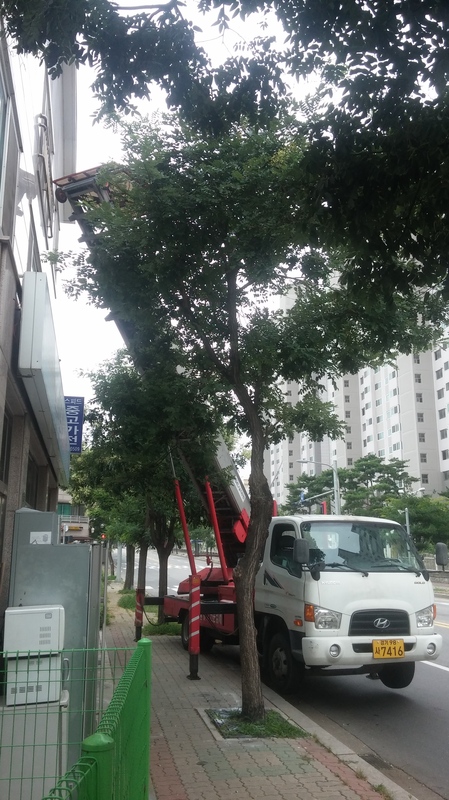 My school is in Daewha so naturally I wanted to stay close but after a few more phone calls my co teacher deemed the apartments too old to stay in. By lunch time on Monday she had chosen an area she saw fit and had an appointment booked with the real estate agent. Excellent. 5.30pm and we’re looking at apartments. I should take the time to outline how this works. For me, the apartment is provided by the school. This means that I was on a budget in terms of key money and rent. Key money is the large sum you hand over at the start and you will get it back at the end of the contract if there’s no major damage to the apartment. In this case it was 5,000,000. Key money can be any amount though, from 3,000,000 to 20,000,000, depending on the size of apartment. Then you have your monthly rent. In my case it was 500,000. Again, rent can be any amount depending on the size of the apartment, area you live in etc etc. So we looked at a few apartments. My coteacher turned out to be super fussy. There was a funny smell, it wasn’t big enough, the building wasn’t secure enough, bad location and on and on until we arrived at a brand new building. So new, that the apartments weren’t even finished yet. We looked at a one room but since there were no doors, I stumbled into a larger two room. This was my preferred space and after my co teacher negotiated the rent, I was good to move in. My boss signed the contract on Tuesday and the following Thursday I moved out of my old apartment. Looking back, moving out was a stress free experience. I simply put my stuff in boxes, left them together and had the movers take care of them. You can see the crates in the last picture. While they were doing that, my co teacher and I were having some refreshments….. The worst part of the day was sorting out the bills at my old house. We had to go to the real estate for that apartment, who had to call the gas company, electrical company and figure out how much was owed. Eventually, we got it done and off to Ilsan. Same thing happened there but in reverse. They took everything from the truck and it was all put into my apartment. The man even suggested where he though everything should go. They were so good in fact, that they re made my bed and put my shampoo and conditioners in the correct area. After that, it was me and a tonne of boxes in an apartment building where I am the only resident. Right now I don’t have any pictures of the new place but as soon as I do, I’ll upload them here! 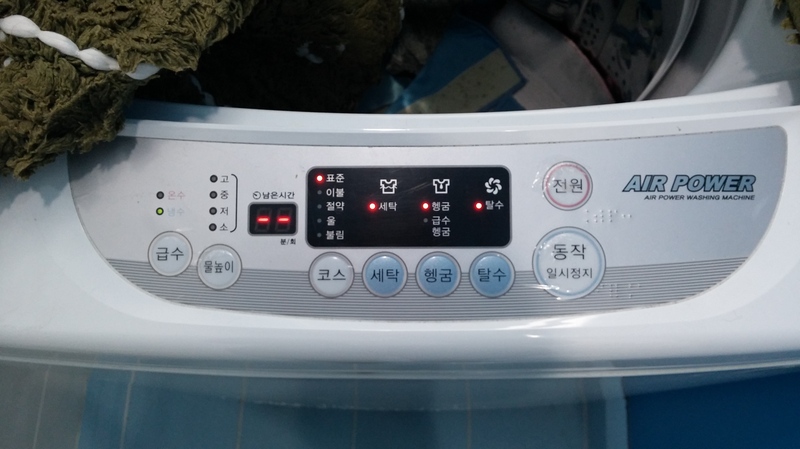 How to use a Korean washing machine. It’s all in Korean and you don’t have a clue. Well fear not. I have translated the words to make it easy for everyone. So you simply press the big buttons until the light shows beside the option you want. Every machine has the buttons designed slightly differently but they always mean the same thing. Also, since my Korean is middling to so so , I might have made mistakes. Apologies if I have and be sure to point them out so I can fix them. I needed to do a Costco run and so did my sister. She finished work at 7pm so to save time I told her to take the bus home. “Which bus” she said. “Aaaahhhhh the 9710”, I said. 15 minutes later she texts to say she’s in Wollong. Excellent, that’s just out the road. I picked up her partner and we drove to meet her at the bus stop. 15 minutes later she text me again with the words “this is taking too long”. Sharp intake of breath as I realised with a certain dread and fear that perhaps the 9710 didn’t go to Geumchon, it was on the road to somewhere else. So I did what all people would have done in that situation, told her to get off the bus. Now we had her at a bus stop who knows where and me sitting in Spuddy in Geumchon. Never fear. The thought of having to tell my father how I lost my sister somewhere between Wollong and the 9710 destination, forcing her to speak Konglish to strangers and sit on a cold bench until she wasted away because I told her to “just wait there” had me thinking of a solution. So here’s what we did. I called her to describe the bus stop and surrounding area. The best she could do was “there’s a petrol station across the road and a green building over there”. Wow! Thanks. That really narrowed it down. Fail. This being Korea though, I figured there was an app for finding her. And there was. It’s called Seoul Bus. First, I got her to read the number of the bus stop. 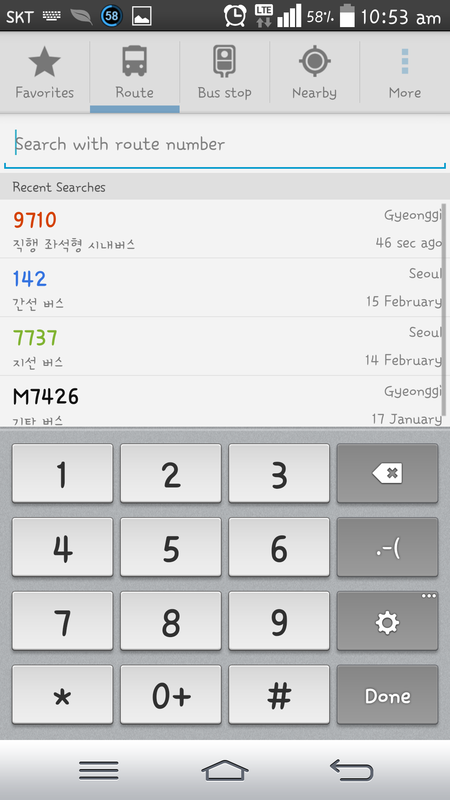 Then, I went on Seoul Bus and typed in 9710, scrolled down until I found the number she said she was at. Each bus stop is labelled with the name of the stop so I typed the name of the stop into the Sat Nav in my car and headed on the short 11km drive to find her. And did I? Of course. The sat nav brought me to literally 100 metres of where she was standing. 1. 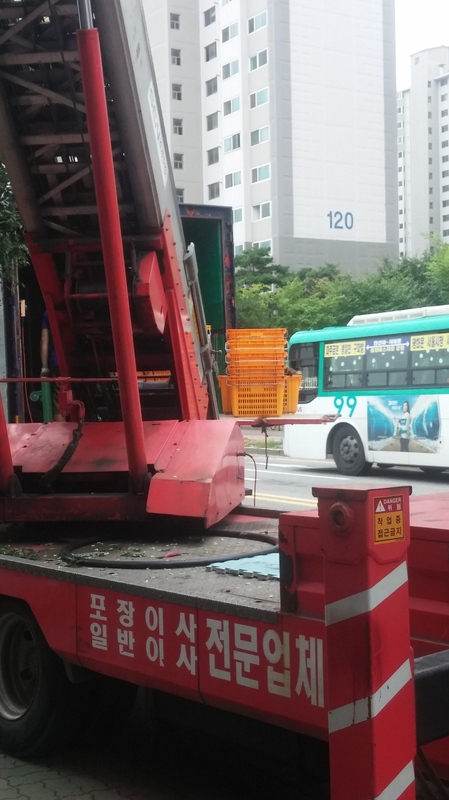 The 9710 doesn’t go from Munsan to Geumchon. It goes from Munsan to Seoul. 2. She was about halfway to Seoul before we realised it so the bus doesn’t waste any time getting you places. 3. The Seoul Bus app is the business. You can search the bus number to find out where it stops, the bus stop number to find out what buses stop there or you can search the map for bus stops nearby. The downside to this is that you must be able to read the Korean. 4. She would have stayed lost ( or would have had to take the bus back in the opposite direction) if I didn’t have Sat Nav in my car. I have just discovered the t- map app on my phone. T map is exactly like sat nav but it brings you the fastest route at the time you’re travelling. Again, it’s in Korean but apart from typing the destination, it doesn’t take a genius to follow the arrows. We did eventually make it to Costco and our evening was completed by some 500won colas and dinner off plastic plates. What a life. 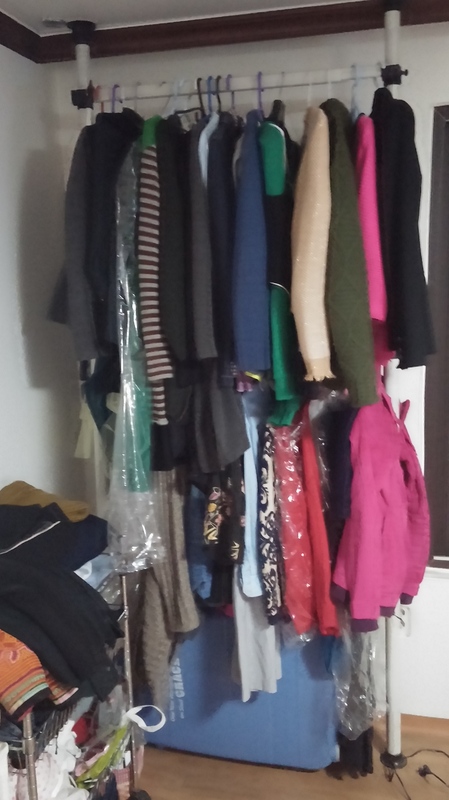 7 ways a Korean Apartment is different to an Irish one. Disclaimer: This isn’t the same for all apartments. Some are fancy but some are like the ones I describe. 1. Door Keys; “What does your door key look like?” they said. “I don’t have a key” I said. 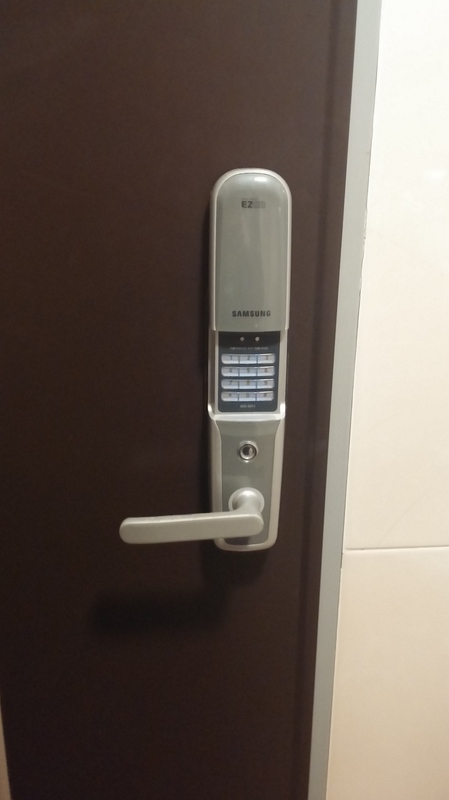 Instead I have a key pad with a security code. 2. 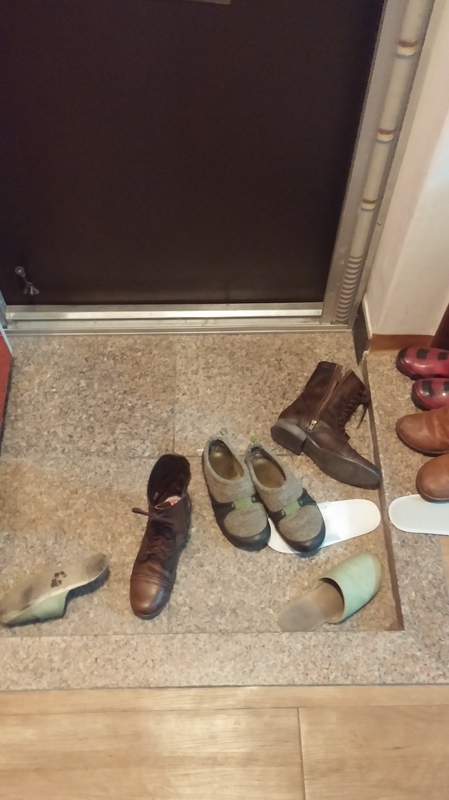 Shoe Area: You must take off your shoes before entering a Korean home. It’s just how it is. 3. Radiators; What radiators? 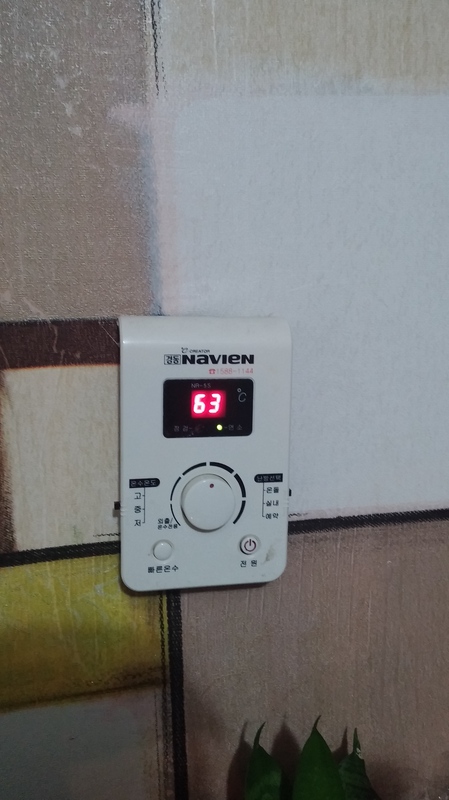 We only have underfloor heating in Korea. I didn’t want to take a picture of the floor so I took a picture of the heating thing. 4. 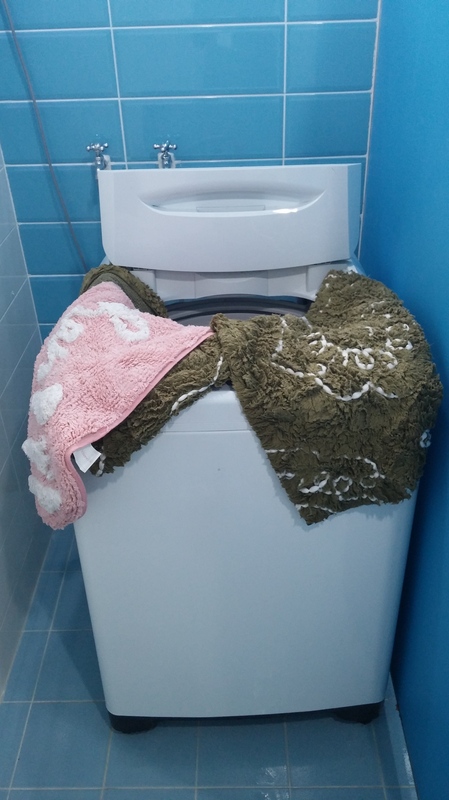 The washing machines. 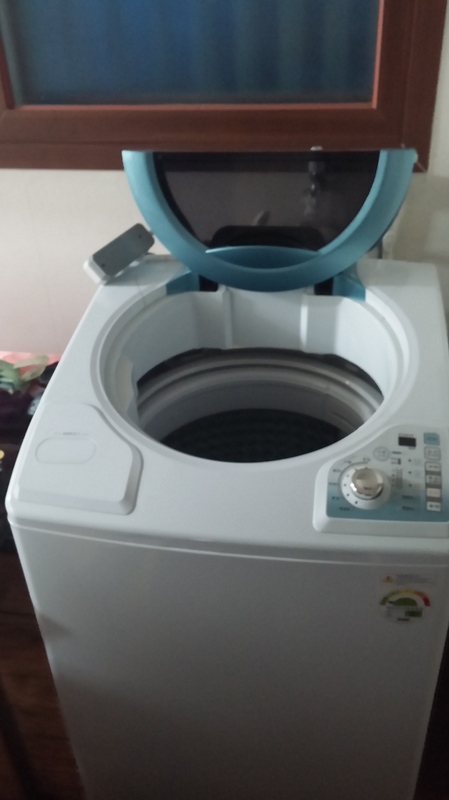 Washing machines here are so big. And randomly you put the clothes in from the top. 5. The wardrobe; Some people actually have wardrobes to be fair. But I don’t (sob sob). I have a rail where I just hang my clothes. Same same but different. 6. The oven. A dissapointing one here. 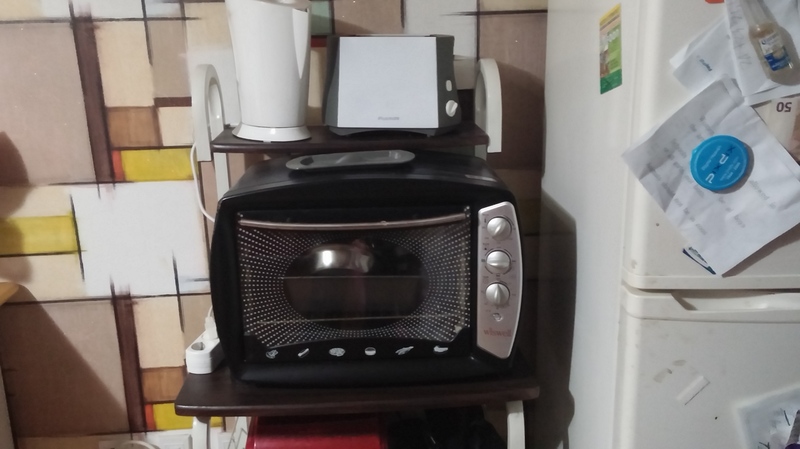 There are no ovens in smaller apartments in Korea. I have a convention oven. 7. 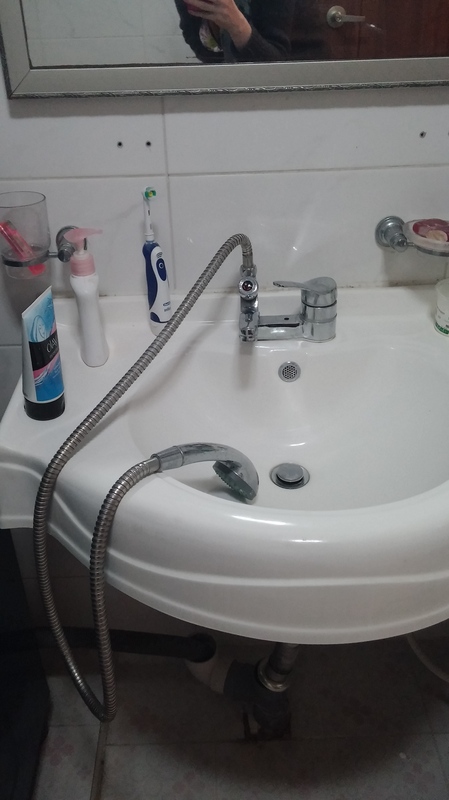 The shower: The shower is usually not seperated from the sink. It’s all in one. Just stand there and take a shower. Added bonus; The super fancy toilet seat that came with my apartment. 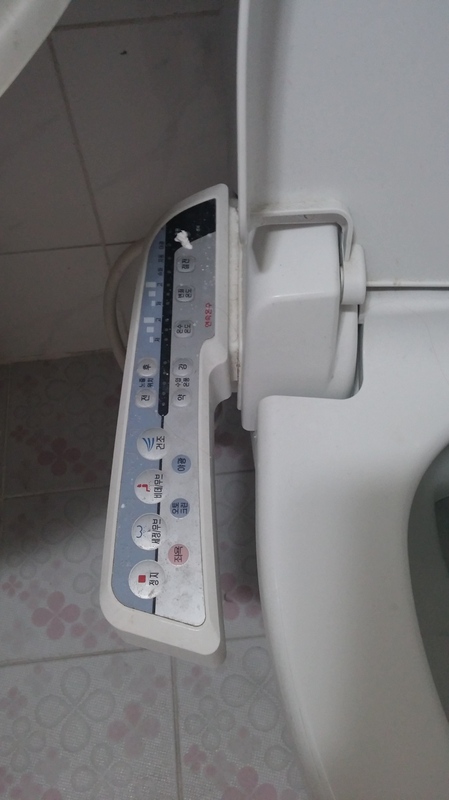 Actually, I don’t know any other foreigner with the fancy toilet seat. It’s super fancy, heated, sprays wind and water and you can spend many happy hours on a long sitting, dropping the matter playing around with the seat. 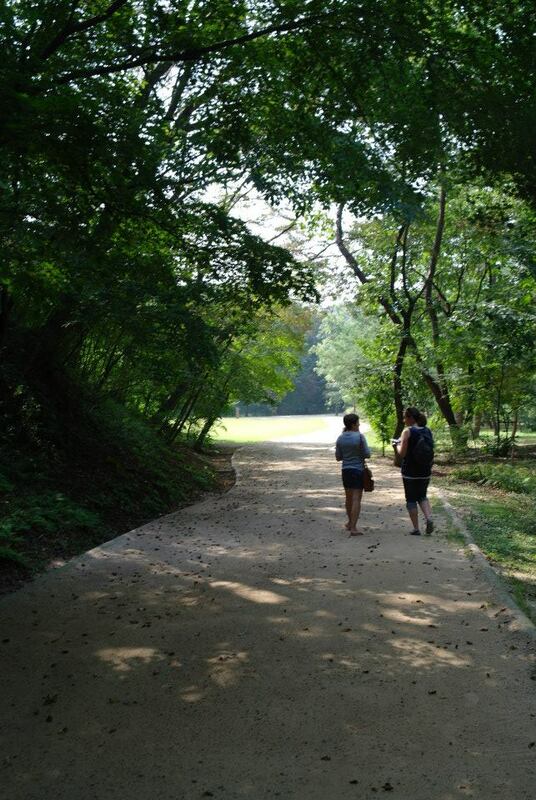 A few months ago,while on one of our “Let’s discover Paju” tours, Janet, Pratz and I happened by a place called Jangneung. We went along the lane to discover some renovations and further on a most beautifully kept tomb. Wanting to take a few pictures, we took off down the original concrete and suddenly the sound of alarms filled the entire area. So we ended up taking our pictures from outside the invisible line. 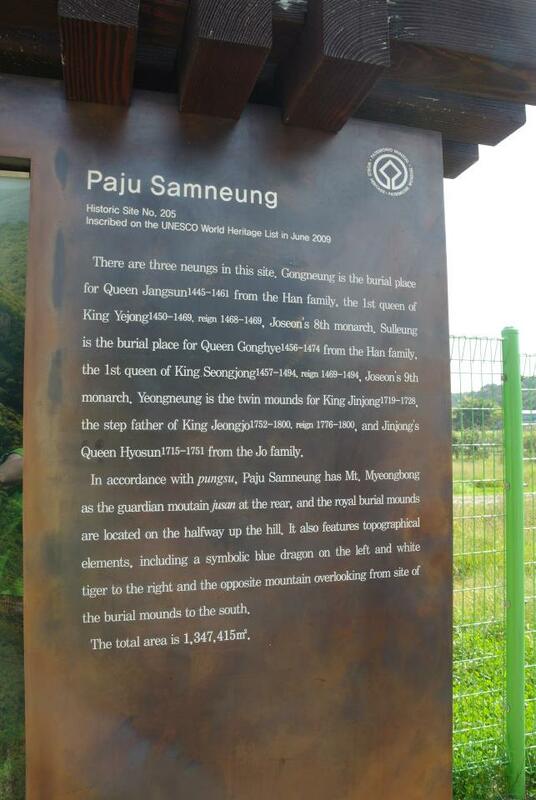 A quick internet search later, we found that not only was Jangneung NOT OPEN TO THE PUBLIC (oops) but that there was another UNESCO World Heritage site in Paju. Another! That makes two. Yes you heard it here first. 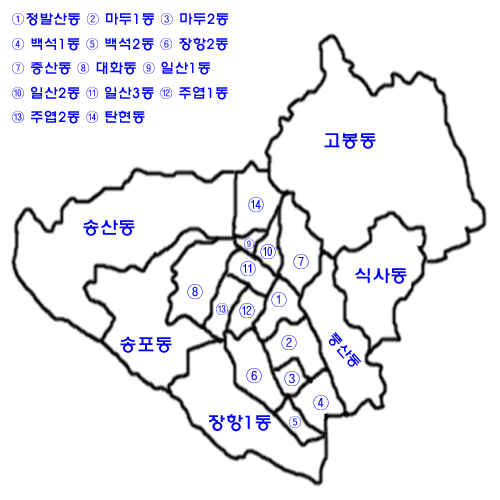 Who would have ever thought that in the days of the Joseon Dynasty, Paju was where it was all at. 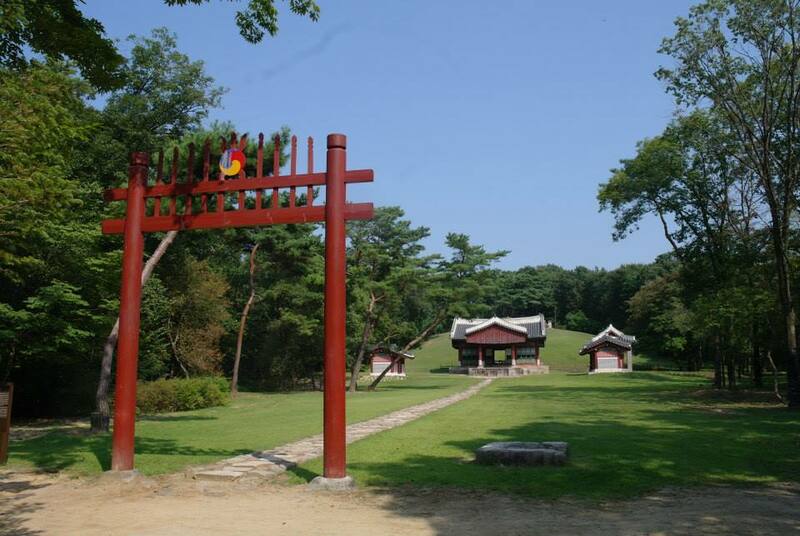 Jangneung has been a UNESCO World Heritage site since 2009. It is the burial place of King Injo and Queen Inyeol. King Injo was the 16th king of the Joseon Dynasty. After some tough times involving the Manchus, King Injo did have some successes during his reign. This fantastically kept area has many stone monuments around the tomb. Unfortunately because of our little alarm problem, we couldn’t get far enough in to take pictures. 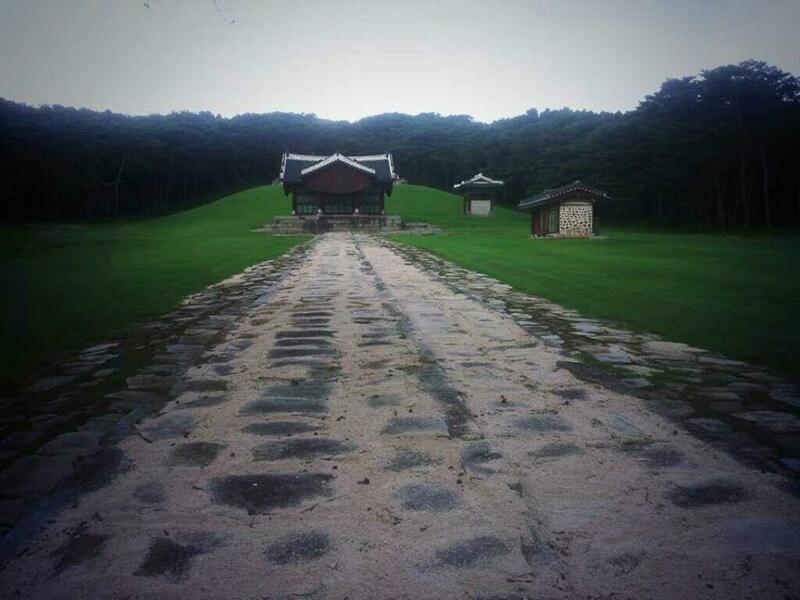 During Chuseok however, we made it our mission to discover Paju’s other UNESCO World heritage site, Paju Samneung. 삼 (Sam) being the word for three in Korean. 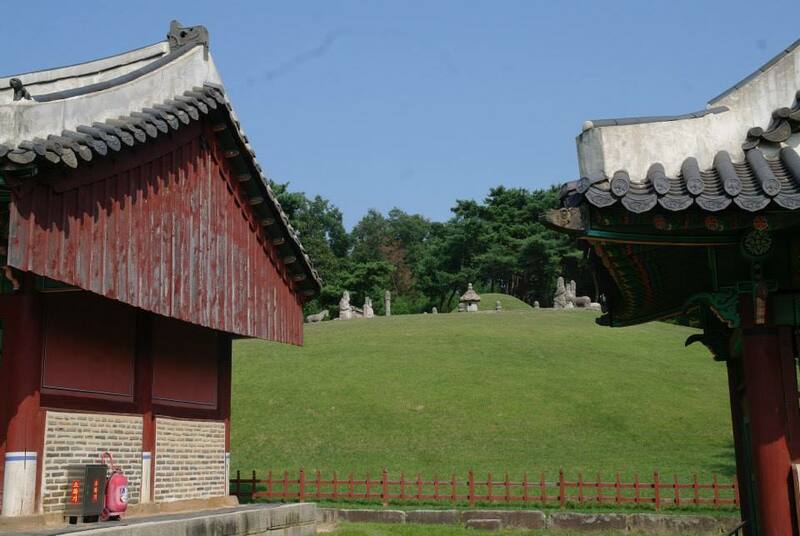 This site has three tombs that hold the bodies of four members of royalty during the Joseon dynasty. We found the tombs by accident. We were actually driving to see the Buddhas when we happened by the sign and wanting to get out of the traffic, we diverted to the tombs. Entry was free for Chuseok but the usual 1,000 won entry fee is affordable. There are information leaflets in English, Chinese, Japanese and Korean. We first passed a small museum but with everything in Korean, we made it a short stay here. Don’t come here expecting to be bused from tomb to tomb, you have to walk. The grounds are very beautiful with the different trees labelled in English. The whole area is really quiet so it’s a great way to spend an afternoon out of a city and into nature. For photographers, this would be a great place to take photos anytime of the year but especially in autumn when the leaves change colour. 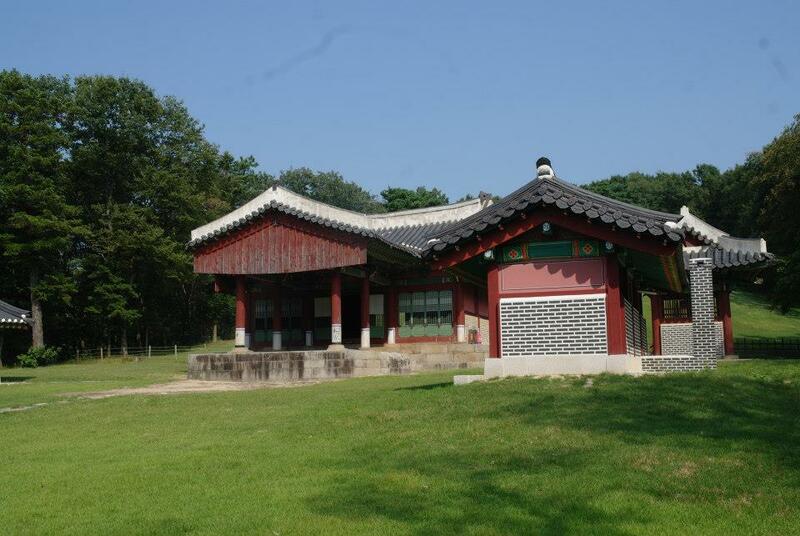 The three tombs here are Gongneung, Sulleung and Yeongneung, the final being the burial place of King Jinjong and Queen Hyosun. You can look around the shrines and sheds but you can’t actually go on the grassy tomb area so to pick up the details of the statues at the back, a good camera lens needed. 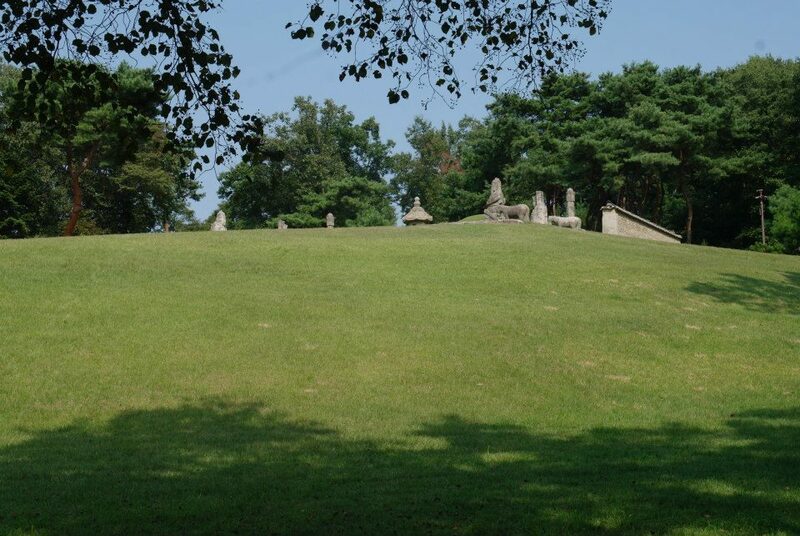 Al three tombs are away from each other with the paths providing beautifully shaded areas for picnics or resting. 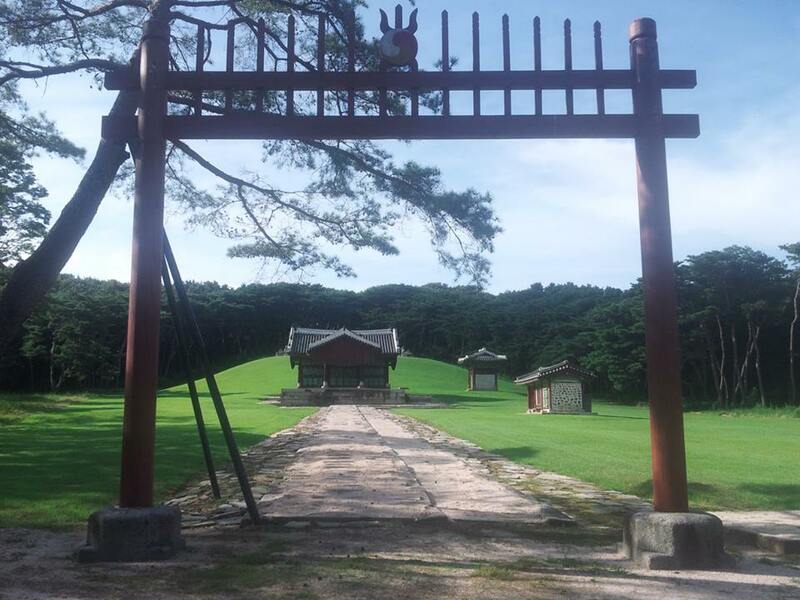 Indeed, during our visit at Chuseok, there were several families enjoying picnics and some quiet time. To get to Paju Samneung on public transport, take the 99, 760, 30,31 and get off at Paju Samneung then walk down the road opposite the bus stop for 10 or so minutes. The best way is to take a taxi from Geumchon or Geumneung station and ask the driver to go to Paju Samneung. The address for anyone driving is 89 Samneung ro, Jori eup, Paju si, Gyeonggi do. For anyone interested in going feel free to email shaunabrowne87@yahoo.co.uk for more details. This week marks my four-year anniversary in Korea. I can still remember the day I landed in Incheon as if it was yesterday. I remember exactly what I was wearing. How the cleanliness of the terminal impressed me, meeting my recruiter, being terrified in the car because we were driving on the “wrong” side and going to school where the children thought I was a man! I’d love to know what my co teachers thought of me that first day. Back then I had super short hair and was paler than I am now. That first night, the other foreign teachers, Michelle and Garrett let me off with staying in but from the second night, we were out and about. And I mean “we” since I had to be escorted to and from everywhere because everything looked the same to me! After two weeks though, I had gotten the swing of things and was let out solo. The finest piece of advice I heard in those first few weeks was from Nathan, who was part of the Geumchon Crew and still a good friend. On the train to Seoul he said that when you come to Korea you only have 52 weekends to see and do everything so any weekend you don’t go out and do something is wasted time. During that first year, my friends and I hit up all the big museums, events,festivals and did a few foreign trips for the long weekends. The learning curve that first year was incredible. 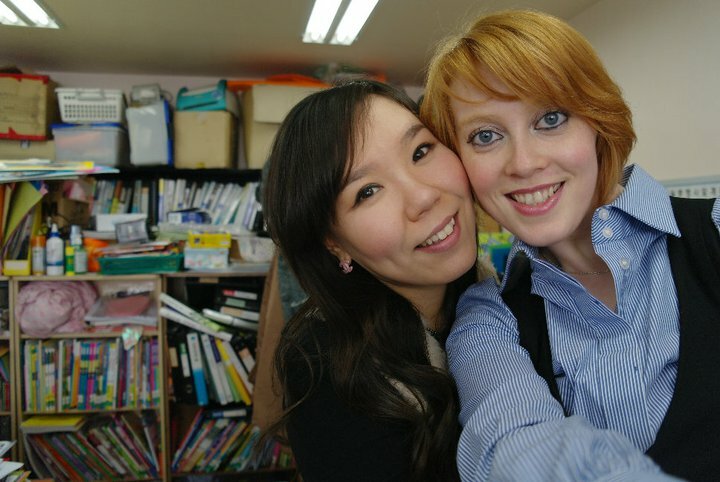 Before then I had never taught in a classroom, let alone taught English to Korean children. I’d never been to Asia before coming here and I’d never lived quite so far away from home before. But after the initial “what am I doing here” shock, life just fell into place like it would anywhere else. When I left for Korea, my mission was to let my hair grow long. Here’s how that worked out over the years….. This is us at our co teachers wedding a few weeks after I arrived. 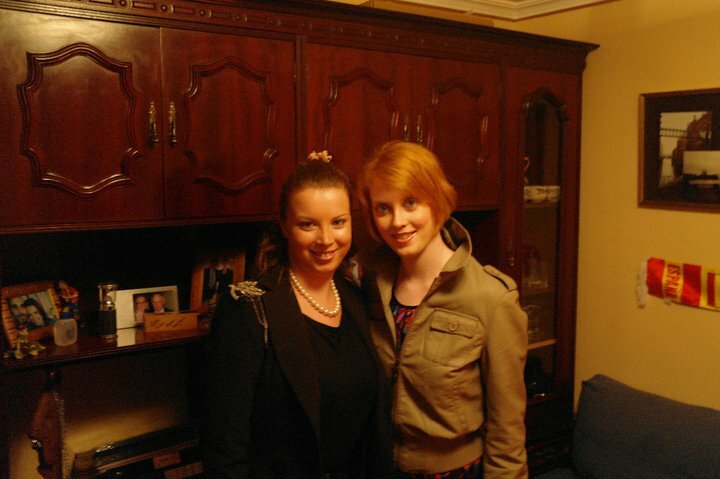 This is when I visited my sister after my first contract. Beginning of my second contract. A good attitude is half the battle. Not every day is going to be sunshine and roses so don’t be afraid to make mistakes and learn from them. Ask for help if you need it. In relation to teaching, over prepare, then just go with the flow. These days, teaching is like Forrest Gump and his box of chocolates, you never know what you’re going to get. Not every student is going to get it. Revel in the small achievements of your students. Don’t take it too seriously, remember somewhere in the chaos to have a bit of fun. Your friends are your family here so make sure you have some good ones. Take opportunities no matter how small they seem and just do things. Don’t over think things. Am I the same person? Being here has changed how I think about things. I’m more open to new ideas and ways of doing things now. I question more now that I’ve been here. 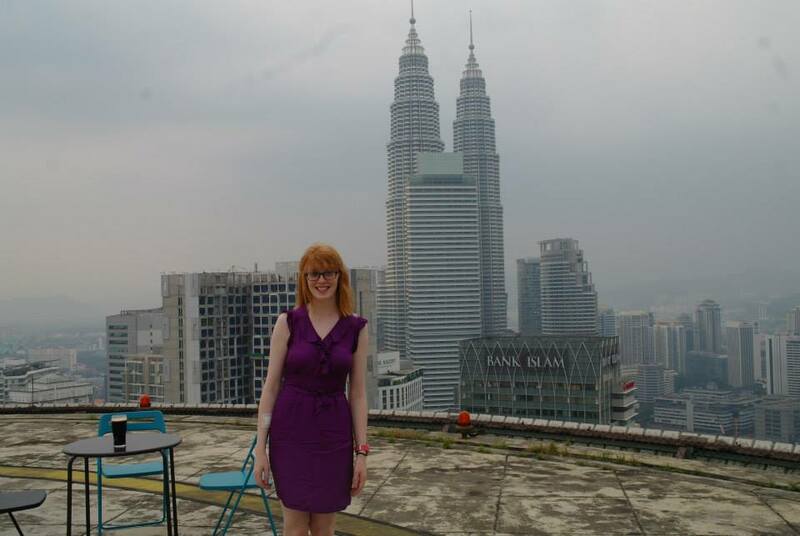 Travelling has made me slightly braver than I used to be. Now, I’m more willing to accept mistakes and take risks. I try my hardest in life not to have regrets. If I were to do something differently, I would have bought my car earlier. That car has made everything so much easier for me. I would have also started seriously studying Korean earlier. I only started to really study after about 2 years and now it’s only so so for someone who has been around for four years. But, I’m studying hard now and I guess that’s what counts. Other than that, I would have done everything else the exact same. The people I’ve met. I have some of the best friends anyone could ask for. I’ve met loads of interesting characters along the way and hopefully that will continue. The places I’ve seen. Climbing the Great Wall and trekking across the Gobi have got to be on the top of the memories from travelling. The things I’ve achieved that I never thought I would (car, driver’s licence, TOPIK, being in a band). Stay, at least for another year. I’ve just signed a new contract at my school and things in my life in general are going well. I’m playing lots of Irish music, I play in a World music band, I have lots of friends, good social life. I have it on good authority that someone I’m related to might be joining me here in the next few months. I still haven’t gone to all the countries I want to go to. Honestly, right now I have no real interest in going home or going anywhere else. I’ve invested a lot in learning Korean and building up a life here so I’d like to take that a little further if I could. Advice for anyone who wants to come over? In ten years, it’s the things you don’t do that you’ll regret, not the things you do. If you want to come to Asia and teach, travel, have an adventure, just do it. It’s not going to fantastic everyday but most days will be pretty good. You learn a lot about what you’re capable of by challenging yourself to do something like this. You meet loads of people who you wouldn’t have otherwise met and it gives you an opportunity to do things differently. Bring a good attitude and look at it as the start of a new adventure.